Chic Parisian apartments and opulent old-style Versailles to rural Provençal, there is a French style of interior that will give you a bedroom that is full of romantic charm, peace and tranquillity. To get the look it may be wise to adopt some classical French decorating tips for colour choices, furniture, soft furnishings and window blinds. All windows in France have shutters or blinds. In the past each department had their own colour for external shutters and you could drive through the country and know you'd entered a different region by the change of shutter colour. This no longer the case and although in rural parts residents remain true to their departmental colours it is not obligatory. Shutters are their to serve a purpose, or two. They are used to help keep homes cool in the summer and warmer in the winter. They are also used as a deterrent for burglary, with insurance companies offering discount to homes that have secure shutters fitted. Classy and chic a Parisian apartment oozes style without being overly ornate or fussy. Bedrooms are beautifully functional and yet they always veer towards romance and calmness. A soft colour palette is the norm, with pretty duck-egg blues, soft greys and ivories being preferred. Modern Parisians don't always have a bedroom that is full of flounces and frills, contemporary design is common place even in old buildings. The French have a knack of mixing old with new to create a stunning interior. Aluminium Venetian blinds are used to give privacy, light control and style to windows irrespective of their size. Soft pastel colours coordinate with bedding and décor while the metallic colours are perfect for a contemporary apartment with an industrial loft motif. Patterned roller blinds are also used to give a room personal styling. The choice of pattern should of course be in keeping with the French theme, so go for a design such as Tours with its elegant faces of beautiful women. Despite its name this patterned roller blind is gender friendly and oozes Parisian style. If you want to go down the exuberant flamboyant route Roman blinds made from crushed velvet or silk satin are ideal for using in old-style Versailles interiors. These lush fabrics have an air of sophisticated elegance, more especially in soft pastel shades. 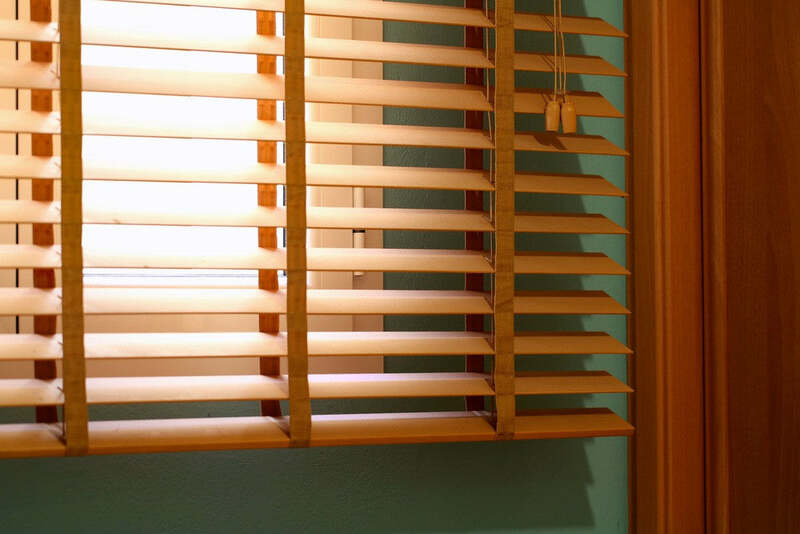 Wooden Venetian blinds are a great choice for any style of French home as they are the most akin to shutters. But don't think they have to be big, cumbersome and dark in colour because today's wooden Venetian blinds come in a wide range of slat widths and colours. They are lightweight and look sleek and refined in an understated way. Wooden Venetian blinds give a touch of authenticity to a rural French home, the only difference is that they are on the inside of the window rather than the outside. They will block out harsh sunlight when closed and provide diffused lighting when semi-open in much the same way as traditional shutters do. 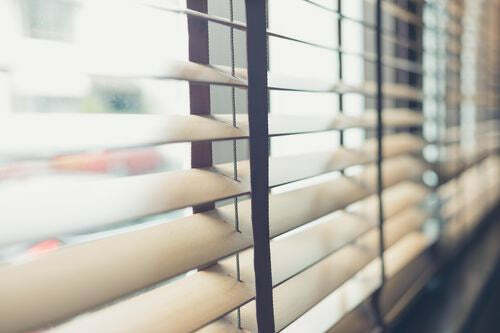 Whichever style of window blinds you chose to give your home a French style makeover it's worth noting that the French rarely use curtains to dress their windows, they prefer the convenience, style and practicality of window blinds.